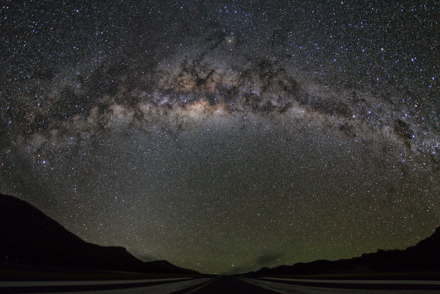 For observing the Messier deep-sky objects as part of a bimarathon, see the links and resources here. On most nights of the year and at most locations, you cannot observe all of the Messier objects in a single night. Instead, switch out the nonobservable Messiers with objects selected from those listed in Concise Catalog of Deep-sky Objects . 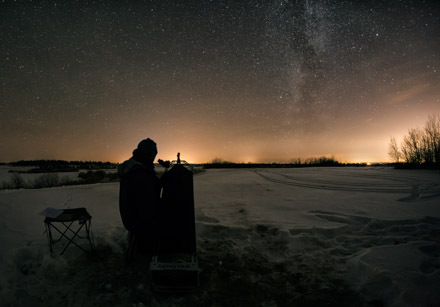 The Royal Astronomical Society of Canada's Observer's Handbook and the Astronomical League lists are also good sources for filling out your own list of 110 deep-sky objects. Use astronomy software to determine which objects are best viewed at what times of the night for your location and dates, and carefully plan the order in which you will observe your objects. For the Messier objects, various suggestions for search sequence are given here. Plan to observe a few extra deep-sky objects early in the evening as insurance in case you get clouds during part of the night, or if you are unable to observe your late morning objects due to encroaching twilight. The bimarathon requires 110 objects, and it would be disappointing to be a few objects short. Lights at night prevent seeing deep-sky objects, so choose a location that isn't too light polluted on this map. Also be sure to choose a spot that doesn't have nearby streetlights, car lights, building lights or other light trespass. You will be pressed for time, so be sure your astronomy observing skills are well honed. Practice quickly finding all your target objects as often as you can in preparation for your bimarathon. Training for the observing portion of the bimarathon. Plan to intersperse running and observing throughout the night, and make a careful plan regarding what times and for how long you will run vs. observe. Make sure you allow a bit of time for some brief stretching after each running segment, and some short breaks for eating, hydrating and maybe napping between running and observing sessions. With a duration of about 12 hours, plus a couple hours for setup and takedown of gear before and after your bimarathon, you will be busy for about 14-15 hours. Ensuring you are well nourished and hydrated before, after and throughout this time is important to your success. Bring a first aid kit to deal with minor aches or pains that may develop. The long duration of the bimarathon gives more time for inflammation from running to develop, and may be more of a problem than in a regular marathon. For the running portion of the bimarathon you will need to train extensively. There are many guides to training for a marathon, but one link is here. Note that you will be breaking up the run into segments of about an hour, interspersed with observing sessions of similar length, so you can likely choose a less intense training program than if you were trying to run 42.195 km without stopping. Don’t hesitate to see a good sports physiotherapist if strains, pains or aches develop during your running training. Plan to run your marathon at a slower pace than a normal marathon, since you don't want to be so exhausted from your running that you have insufficient mental focus to find all your deep-sky objects. Choose a location that is safe to observe and run at night, with no road traffic or other risks to your personal safety. Training for the running portion of the bimarathon. Have one or more friends or family along who can provide support. The bimarathon is an extreme test of physical and mental stamina, so plan to take many months or even a year or more to train adequately for both aspects of it. Before embarking on the training for a bimarathon, you may find it useful to train for and complete a regular marathon.